← What did Jesus mean when He said, “Do not judge”? Today begins our annual Missions Conference at Heritage (aka Misch Conf). This conference is a highlight of our school year. Students organize and run the it (which keeps things energetic and creative). Missions reps from a variety of agencies show up (a number even stay in the dorms!). We hear from top-flight speakers (this year our plenary speaker is Rev. Sunder Krishnan). We finish it all of with an amazing cake auction to raise money for summer missions (watch for pictures and an upcoming post about this extravaganza). 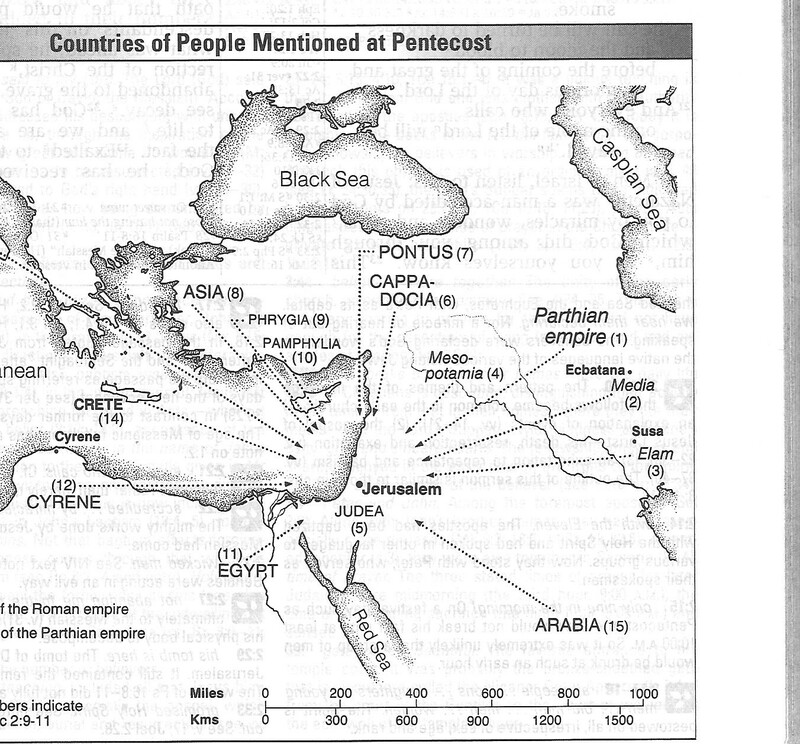 Parthians, Medes and Elamites; residents of Mesopotamia, Judea and Cappadocia, Pontus and Asia, Phrygia and Pamphylia, Egypt and the parts of Libya near Cyrene; visitors from Rome (both Jews and converts to Judaism); Cretans and Arabs. (Acts 2:9-11). I had read these verses before but had no idea where most of the places were located. Not until I saw the map in the Study Bible. Take a look at it. What do you notice? What struck me is the way this map gives a graphic display of God’s heart for the whole world. Look at the arrows. They are coming from “the four corners of the world.” On the Day of Pentecost–the birthday of the Church–God was making a point: He wants the message of Jesus’ death and resurrection to be heard all around the world. Jesus told HIs disciples, “ . . . you will be my witnesses in Jerusalem, and in all Judea and Samaria, and to the ends of the earth” (Acts 1:8). 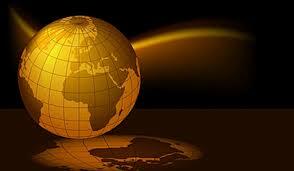 The rest of the book of Acts chronicles the spread of the gospel, starting from Jerusalem, to the ends of the earth. The reason we have Missions Conference at Heritage is because the assignment Jesus gave us is still unfinished. Please pray for the impact of this year’s conference. Ask the Lord to move in us so that we move out with the gospel—starting in Cambridge and going to the ends of the earth! This entry was posted in Heritage, Ministry Matters and tagged Heritage College and Seminary, missions. Bookmark the permalink.